A federal jury found California’s largest utility, Pacific Gas & Electric Company, guilty on Tuesday of violating pipeline safety regulations and misleading investigators before a deadly natural gas pipeline explosion in San Bruno, California killed six people and destroyed 38 homes in 2010. The utility failed to evaluate potential gas line threats and deliberately did not classify the pipeline as high risk. 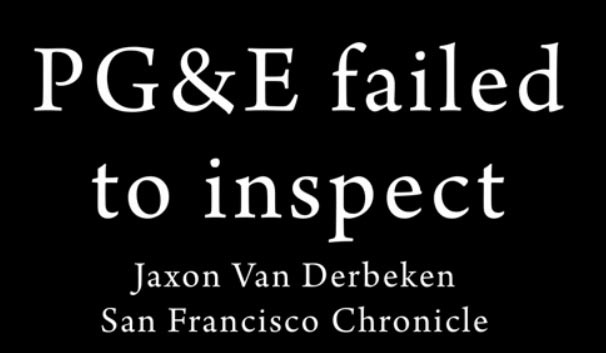 During the investigation following the accident, PG&E misled federal officials about the standard the company was using to identify high risk pipelines. PG&C pleaded not guilty, saying its workers did the best they could with ambiguous regulations they struggled to understand. Prosecutors said the company deliberately misclassified pipelines so it wouldn’t have to subject them to appropriate testing, choosing a less expensive method to save money. “The motive was profits over safety,” Assistant U.S. Attorney Jeffrey Schenk said during his closing argument. Prosecutors originally sought a $562 million fine if PG&E was found guilty of any of the pipeline safety counts, but during jury deliberations prosecutors chose to reduce the company's liability to $6 million, which was approved by the judge. The California Public Utilities Commission in 2015 levied a $1.6 billion fine against PG&E over the blast and other issues, which the utility did not appeal.